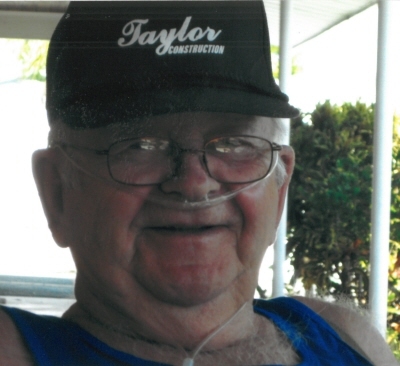 Robert “Bob” H. Taylor age 80, found peace on Thursday March 28, 2019. Bob was born October 13, 1938 in Oakdale, Wisconsin to the late Walter and Jean (Mizer) Taylor and raised on the Taylor family farm. Bob is survived by his wife Patricia “Patty O’Connor” Taylor; three sons, Billy (Diane), Bobby, and Barry (Bobby Jo) Taylor; seven stepchildren, Scott Phillips, Mark (Shar) Phillips, Tammy (Kevin) Poppie, Kari-Ann (Mark) Karaffa, Kathy (Dean) Yenter, Karen (Brian) Olson, Karyl (Bill) Franklin; fourteen grandchildren, Kayla, Ashley, Christopher, Courtney, Ryan, Jessica, Todd, Taylor, Jacob and Aubrianne Karaffa, Adam and Max Poppie, Nicholas and Tommy Phillips; eight great-grandchildren, Aubrey, Owen, Abby, Jayce, Mitchell, Leyah, Logan and Colton Taylor; three sisters, Gerri (Merle) Adams, Meridith Eisfeldt, Pat (Harry) Smith; two brothers Don (Mary), Walter Jr (Pat) Taylor; also survived by many nieces, nephews and friends. Bob was preceded in death by his parents; siblings Rick, Terry, Skip, Mary Lou, Laureen, Jackie, Betty and Larry, Sheryl (Steve) Gunder and granddaughter, Katie Hrenak. At the age of 17, weighing only 130 lbs., Bob joined the Navy. He spent the next three years aboard the Navy Aircraft Carrier, USS Yorktown and was honorably discharged in 1959. Upon return home, he found that he had a passion for cars and stock car racing and even started building his own engines. That experience led to a strong interest in NASCAR racing. He also enjoyed football and supported the Green Bay Packers, never missing a game on TV. Bob also loved to watch and read western movies and books. His favorite author was Louis L’Mour. A memorial for Bob will be held in Tomah, WI on Saturday, April 27 at the Best Western Hotel from 12:00 PM - 3:30 PM. Memories and stories of Bob’s life will be shared at 1:00 PM. If you have anything you wish to share, please be there at 1:00 PM. Bob had few requests but, did ask that nice things to be said about him, like at his brother Rick’s funeral. Food and refreshments will be available. Interment will be at the VA Cemetery in King, Wisconsin at a later date. To send flowers or a remembrance gift to the family of Robert H. Taylor, please visit our Tribute Store. Guaranteed delivery before Robert's gathering begins. "Email Address" would like to share the life celebration of Robert H. Taylor. Click on the "link" to go to share a favorite memory or leave a condolence message for the family.